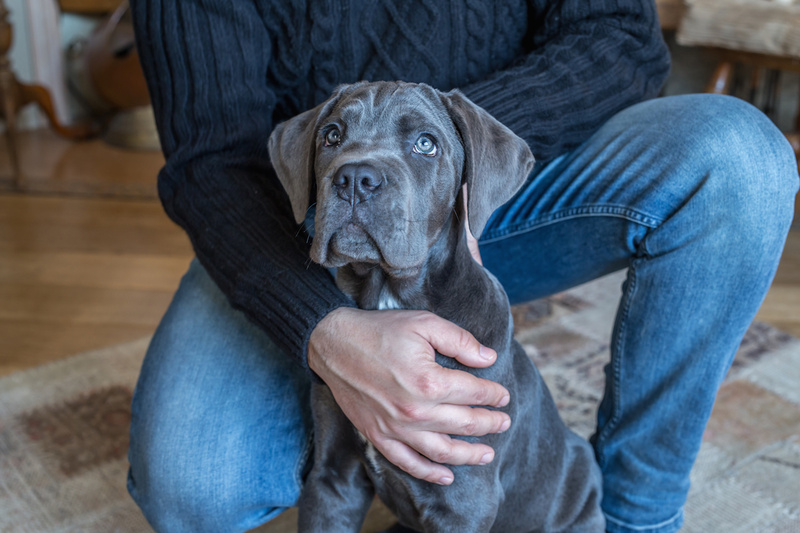 According to popular thought, yellow eyes in the Cane Corso aren’t just more intimidating – they supposedly give the dog superior night vision, making him a better guard dog after the sun goes down. 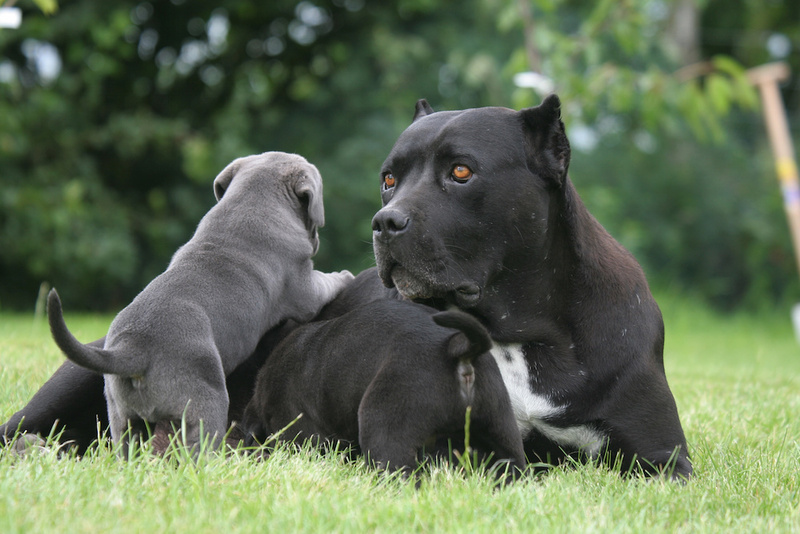 The Cane Corso's FCI standard asks for as dark an eye as possible, given the coat color. A black dog like this should have a dark-brown eye. 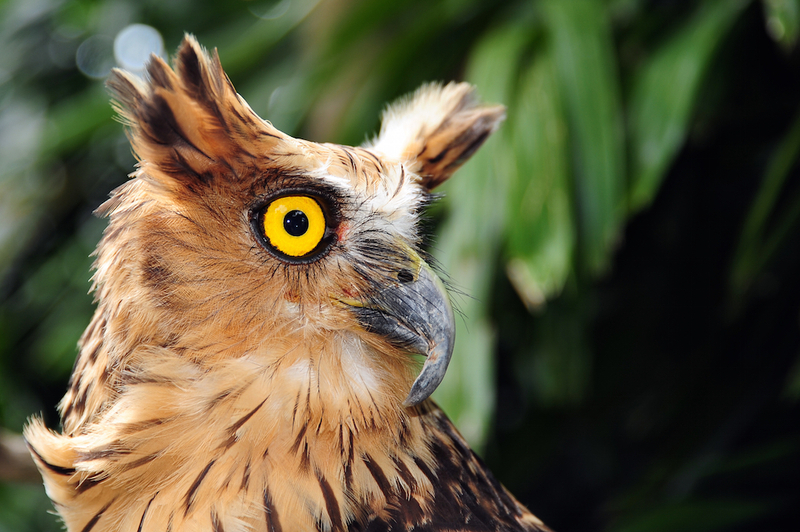 Many birds of prey, like this owl, have light eyes. But does color have anything to do with night vision? This belief among certain fanciers comes from observing the irises of nocturnal predators. And at first glance, this seems to have the ring of truth: The majority of nighttime hunters in the animal kingdom have clear irises. But we as delve into this in a scientific way, we realize that there are also species of nocturnal predators that have dark irises. It is the structure and shape of the eyes that “specialize” them for keen sight in the absence of light – not the color of the iris. It would be silly to claim that two people who have eyes of the same make and shape see differently because one has light eyes and the other dark. However, it is fair to say that someone with dark eyes has less difficulty seeing and focusing in harsh light, because dark eyes have more layers of pigmentation; conversely, people with light-colored eyes often squint in strong sunlight because of increased photosensitivity. Basically, the predominance of yellow eyes in nocturnal predators is none other than a “savings” of color on the part of Mother Nature. Having a rainbow of colors for those animals that hunt at night would be a waste. We see this same “economy of color” in the coat colors in prey animals that live in ecosystems with specific predators. Have you ever wondered why brown and gray seem to be the predominate shades of herbivores in the woods? What use would it be for nature to go wild with more colors when the eye of the predator is unable to differentiate them? 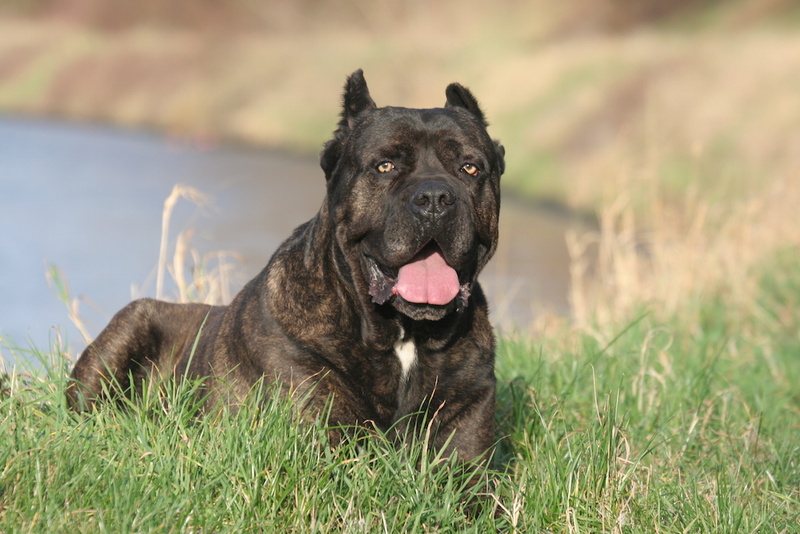 Yellow eyes are a disqualification in the American Cane Corso standard, though most fanciers would argue that "clear" colored eyes like this one don't fall into that category. In addition to the difference between the shape and size of the eyes of nocturnal predators and diurnal animals, don’t forget the most important factor: the presence of the tapetum lucidum, a layer of tissue that reflects light back through the retina, offer greater visibility at night. Unlike humans, dogs have this special reflective lining, which is why if you shine a car’s headlight into the eyes of a dog, no matter what his eye color, they’ll seem phosphorescent! However, ask a dog with light irises to work in strong sunlight, and I’ll tell you how well he sees. Hint: Squint, squint. Cane Corso standards are very clear about eye color: Basically, the darker, the better. The FCI standard asks for an dog's iris is to be "as dark as possible but according to the coat colour," acknowledging that dilute colors are genetically incapable of having a dark eye. The American Kennel Club standard is even more specific, explaining that dogs with black muzzles (that is, with coats that are black, fawn or red) ideally should have dark-brown eyes, and dogs with gray muzzles (basically, the grays and the dilutes of fawn or red) can have lighter shades. That applies whether the brindle pattern is present or not. And the AKC standard takes a strong stand against yellow eyes by making "yellow bird of prey eyes" a disqualification, along with blue eyes. Dilute puppies, however, may start life off with blue eyes, but that will change over time. The blue eyes of this gray puppy will eventually turn gray.